Step into the fascinating world of chocolate! 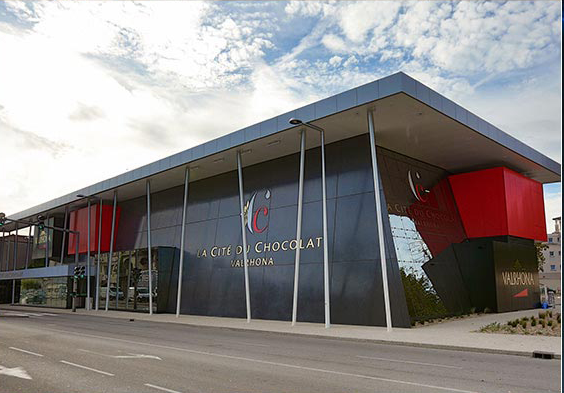 Located on the site of Valrhona’s historic chocolate factory, the Cité takes the general public and professionals on a behind-the-scenes exploration of Fine Chocolate. 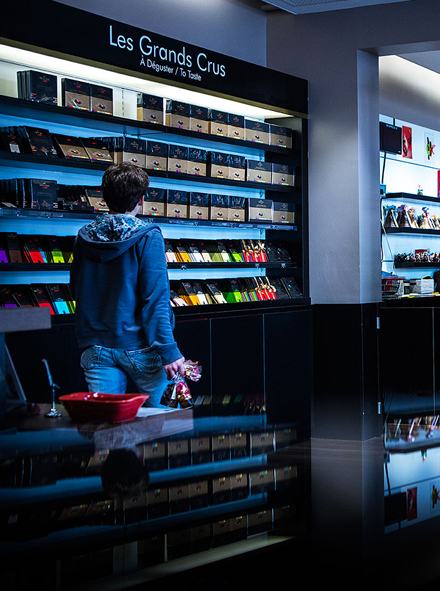 During a mouth-watering, eye-opening trail through the heart of the Cité, you will discover all the secrets of how chocolate is made, and the array of expertise possessed by Valrhona and its customers. Whether you’re a gourmet enthusiast or simply love chocolate, whether you’re an amateur or a professional, come and savour a magical experience with this most exceptional of ingredients! 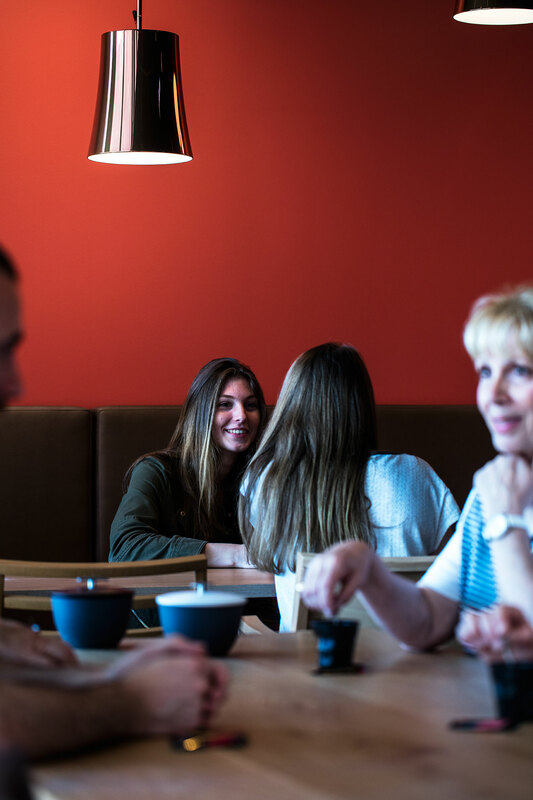 5 good reasons to visit the Cité! 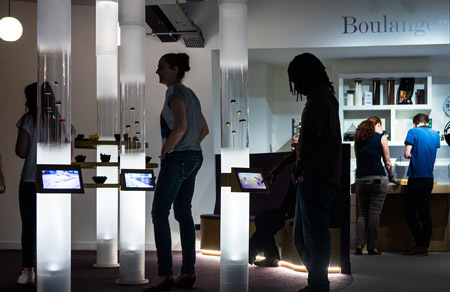 The Valrhona Cité du Chocolat is, above all, an interactive discovery trail for all the senses. Instructive Educational and fun, it will help you better understand the secrets of chocolate – so you can taste it more rewardingly. Taste, touch, observe and listen to chocolate – to make the most of its rich and complex character. 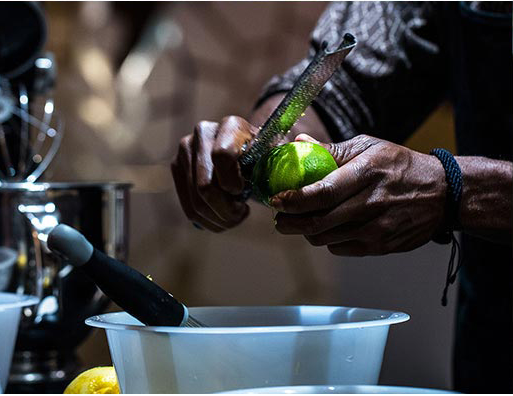 This multi-sensory immersive sequence is often amazing and always mouth-watering! Board now for a journey to the other side of the world, where the finest cocoa beans are skilfully grown by generations of farmers with a passion for their work. If your curiosity is still unsated, try one of the discovery sessions on offer in this specially designed venue, led by chocolate professionals. After that, you will know (almost) all the secrets of chocolate! 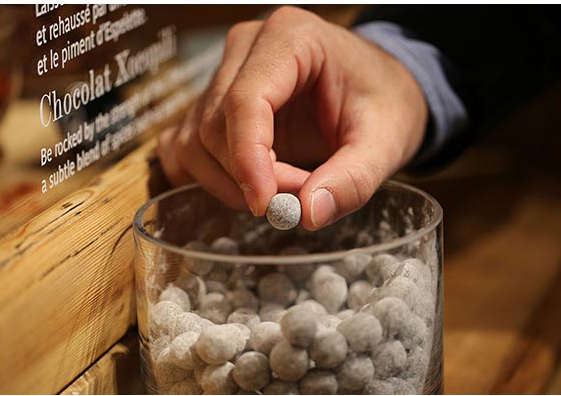 The most inquisitive visitors can follow the journey of a chocolate bonbon along a mini production line – right through to the final enrobing (coating) stage that yields fresh chocolates, ready for tasting! Come and meet the people who, from day to day, transform chocolate into gorgeous creations: pastry chefs, chocolatiers and bakers. Step into the daily world of these artisans of indulgence and admire their products, creativity and technical know-how – including skills you can replicate during your visit. 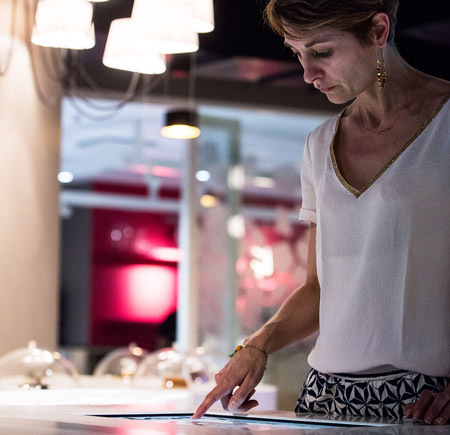 Here, Valrhona’s history is told in an exhibition of historical objects and a signature film. This exhibit reveals the brand’s heritage through reminiscences, and highlights the singular legacy of the women and men who have built the company. Welcome to another world, where chocolate is all poetry and sensations. Be transported by this ultimate experience – and feel the passion of all those who devote their life to magnifying chocolate. Just live it! 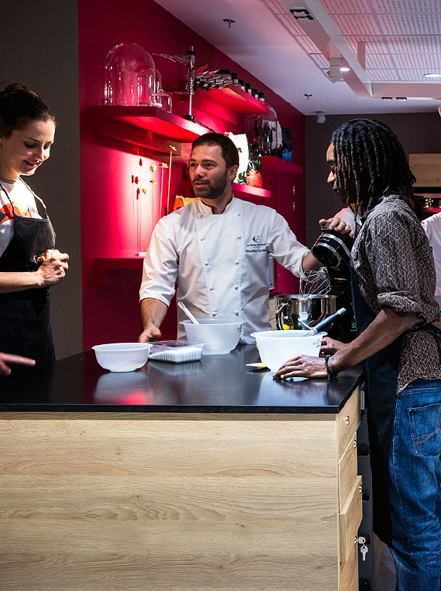 Whether you opt for a course, a workshop lasting a couple of hours, or a tasting moment, you can share recipes, skills and a passion for chocolate with a Valrhona pastry chef. Take a peek into the experts’ kitchen. 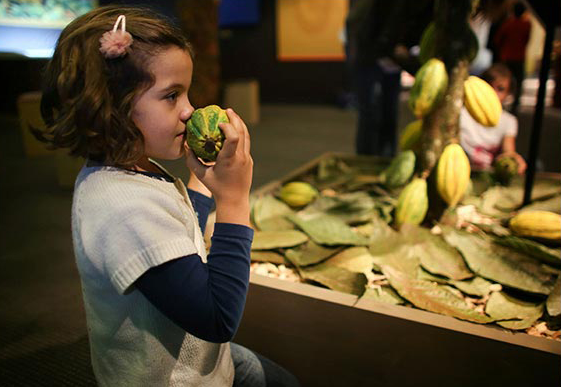 Children have fun finding out about cocoa and chocolate, thanks to specially designed interactive attractions. Like adults, children also learn to taste chocolate in all its forms, and find out absolutely everything about the world behind a chocolate square. While their parents explore at their own pace, children can have fun throughout their tour with a specially designed booklet.